President Michael D Higgins has led tributes following the deaths of five people in Buncrana, Co Donegal last night. In a statement, the President said: "I have heard with the greatest sadness of the terrible loss of life of a family in Buncrana." He said his heart goes out to the family and loved ones of those who died; Sean McGrotty, 49, his sons Mark, 12, and Evan, 8, his mother-in-law Ruth Daniels, 59, and Ms Daniels' daughter Jodie Lee Daniels, who was 14. "Sabina and I wish to express our deepest sympathies to the family and their communities," the President added. 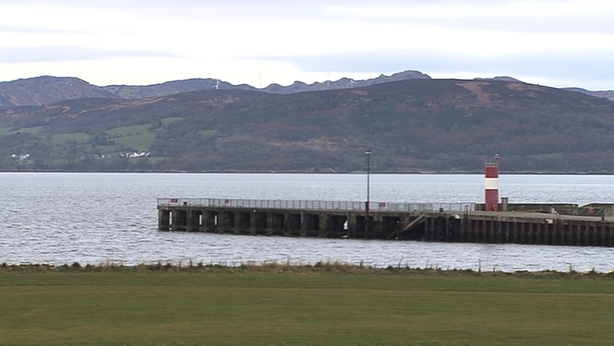 The five died when their Audi Q7 slipped from Buncrana jetty into Lough Swilly shortly after 7pm yesterday evening. A book of condolences is to open in their home city of Derry in the coming days. Mr McGrotty's four-month-old daughter Rionaghac-Ann was rescued and is said to be doing well in Letterkenny General Hospital. A funeral service for the five victims will take place at the Holy Family parish church in Ballymagroarty in Derry at 2pm on Thursday. Bishop of Derry Donal McKeown has described the tragedy as appalling and ghastly. Speaking on RTÉ’s Six One News, Bishop McKeown said that the family and community need great support. The Mayor of Derry City and Strabane District Council described the incident as "a terrible tragedy that has affected the entire community in Derry and Donegal and left all of us numb". Elisha McCallion added: "Who would have thought that a family day out could have ended so tragically? "It is beyond belief and I can't put into words how sorry I am for the family and those affected by this dreadful accident." Northern Ireland Deputy First Minister Martin McGuinness described the tragedy as truly shocking, saying there were no words to describe the effect it has had. Speaking to RTÉ News at One, Mr McGuinness said he spent some time with the bereaved family this morning and he witnessed a scene of utter devastation. He said the family now had to deal with a tragic and devastating loss. "There are no words to describe the impact of all of that on any human being," he said. Mr McGuinness earlier said, via Twitter, that he was very saddened by the news. First Minister Arlene Foster of the DUP tweeted her sympathies to the family of the victims and those involved in the rescue operation. Ms Foster and Mr McGuinness also issued a joint statement to express sorrow over the deaths. "We share the widespread sorrow following the tragedy that claimed the lives of five people, including two children, in Co Donegal yesterday," they said. "This tragedy resonates with us all. At times like this it is difficult to comprehend how life can be so altered in the matter of moments. "Our thoughts and prayers are with the family and friends of those killed, those who tried to help and the responding emergency services." The news from Buncrana is heart breaking. Thinking of their families tonight. SDLP leader Colum Eastwood said "communities across the island are in mourning" after hearing the news. He said the city of Derry is "united in mourning for its sons and daughters". Derry City Football Club has expressed its sadness at the deaths; Ms Daniels' son Josh plays with the team. In a statement, club chairman Philip O Doherty said: "Inadequate as it is, everyone at the club wants to assure him [Josh] that they will be with him in the coming days and, more importantly, in the weeks and months that lie ahead." 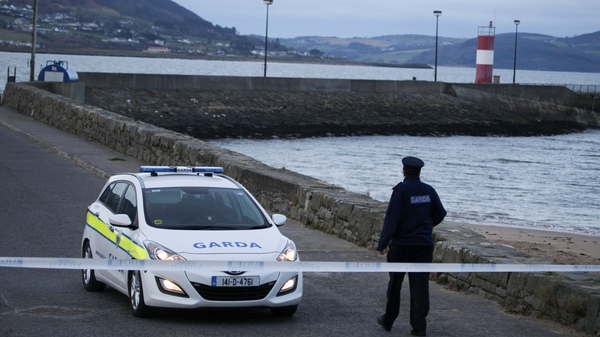 Former Sinn Féin TD for Donegal North-East, Pádraig Mac Lochlainn, described the incident as an "unthinkable tragedy". 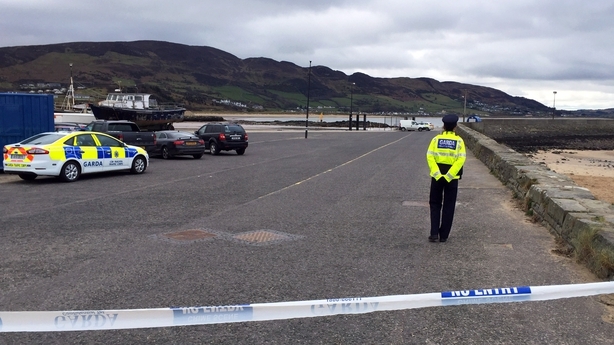 Speaking on RTÉ’s Morning Ireland, Mr Mac Lochlainn said he went to the pier at around 8pm last night where he saw the rescue operation under way in Lough Swilly. Mr Mac Lochlainn said the local community has suffered from road tragedies over the years and it is numb following yesterday's tragedy. "Buncrana and south Inishowen has suffered grievously from road traffic accidents over the years and many people have lost their lives, so it was just a sense of shock that here we are again," he said. "As the hours moved on, it became clear that this was a very serious tragedy, particularly where children lose their lives. "And then as the circumstances [became clearer] probably just a family having a day off in the good weather. When that became clear to people, I think we were all in horror." Lough Swilly RNLI extended its sympathies to the bereaved, with operations manager John McCarter saying: "I want to thank our volunteer lifeboat crew along with the other emergency services and members of the public who responded to this emergency for their professionalism and their courage. "Our thoughts are now with the families who have lost loved ones in this awful tragedy." 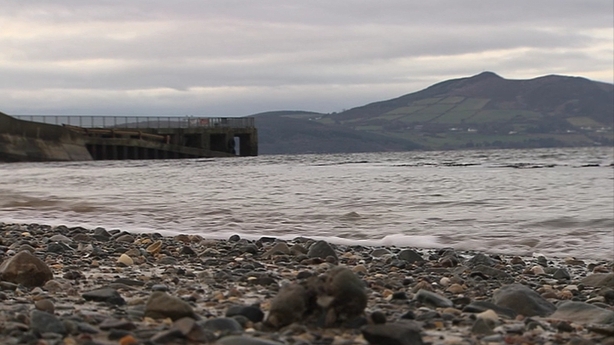 Local Sinn Féin councillor Jack Murray said the spot where the car entered the water is a popular place for tourists. 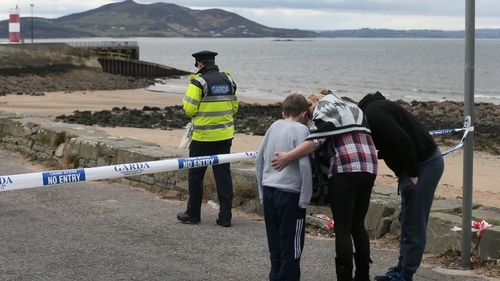 Earlier, Fianna Fáil councillor Rena Donaghey said it was a "tragedy of enormous magnitude". She said: "I've been standing at the pier with so many others from the town looking out at blue flashing lights on the water in a state of complete shock. "People here can't believe what they're hearing, can't believe what they're seeing." She described how the town had been "buzzing with people" before the incident, many of whom had arrived to enjoy the weather. "It was so scenic and happy and now happiness has turned to tragedy," she added.